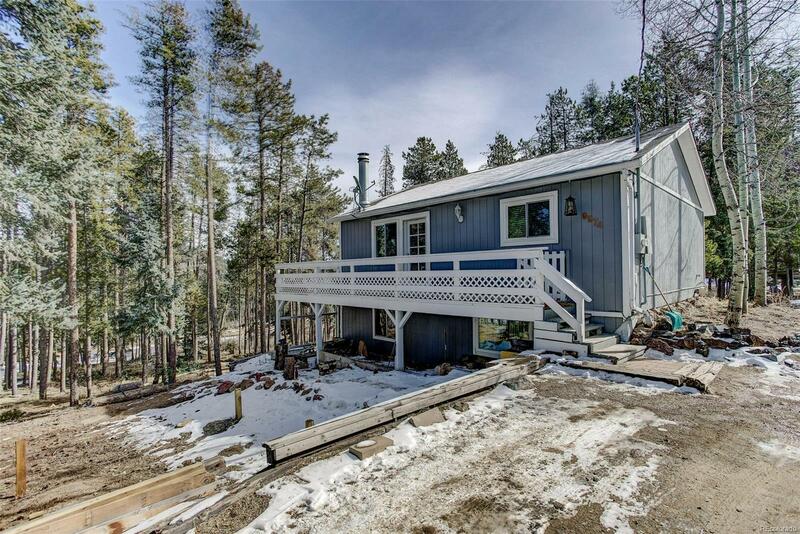 Retreat to this cozy mountain home in Conifer. Enjoy the quiet and privacy of this 3 bedroom 2 bath home on one plus acre. As you enter you will see the open floor plan with lots of windows making this home light and bright. Cuddle up by the fire in the winter months. Don't miss the deck for entertaining and viewing the abundant wildlife. Two bedrooms and a full bath complete the main level of the home. The lower level is a walk out with media room, master suite (with copper tub) and flex room. This home has easy access to shopping, restaurants, and Highway 285. Desirable location! Don't miss this one!